Hanson Robotics is the well-known Hong Kong and Los Angeles-based company behind Sophia the robot, the eerily life-like humanoid. You might remember, she was granted citizenship in Saudi Arabia? Well, now Sophia has a new sibling: little Sophia, who wants to help kids learn how to code. Literally walking in the footsteps of her older sister, little Sophia can talk, sing, play games and even tell jokes. Her main objective, however, is to teach kids – "especially girls" – between the ages of seven and 13 about STEM, coding and AI. With little Sophia's software, and included tutorials through Hanson's AI academy, she is a "unique programmable, educational companion for kids, inspiring children to learn through a safe, interactive, human-robot experience." With an already up and running Kickstarter campaign, little Sophia comes with an "open" software platform (supporting python as well as block-based programming languages) which makes the little companion uniquely programmable according to Hanson Robotics. The Bluetooth and Wi-Fi-enabled robot also interfaces with Raspberry Pi, "allowing kids to learn electronics and robotics, and help her become as smart and capable as their imagination will allow." When little Sophia isn't teaching kids how to code, she's able to express herself showing various emotions through life-like facial expressions which included 'happy,' 'sad,' 'surprise,' 'grouchy,' and 'delighted'. 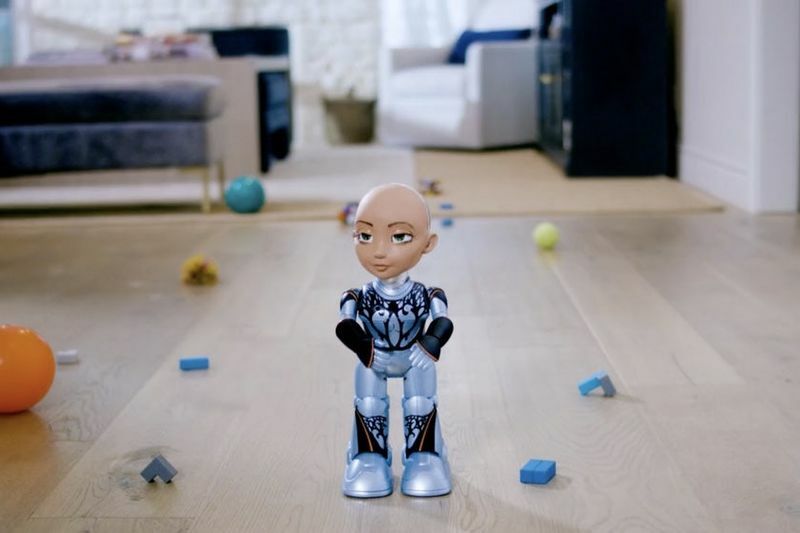 Little Sophia can also sing, tell stories, respond to voice commands, and even pose for selfies with the help of the Sophia mobile companion app's augmented reality (AR) feature. Through smart software, little Sophia can also double as a home assistant, just like Amazon Alexa but little Sophia delivers a little bit more of a life-like characteristic to your home assistant. "The growth of stem jobs in the future is expected to skyrocket", states Hanson Robotics. "However, there's a lack of women in these fields meaning fewer female role models, both for current female STEM employees and for girls still forming career choices. There's no evidence that girls are less capable in these fields, but rather that they often 'feel' less capable, partly due to stereotyping." "Stats vary by country and by discipline, but generally speaking, women make up only 15-25% of the current STEM workforce, and the gap is broadening", the company continues. "We believe that little Sophia can help to introduce STEM, coding and AI to children – especially girls – in a fun, safe, inspiring and interactive way that might help to make a small difference in reversing the current trends."